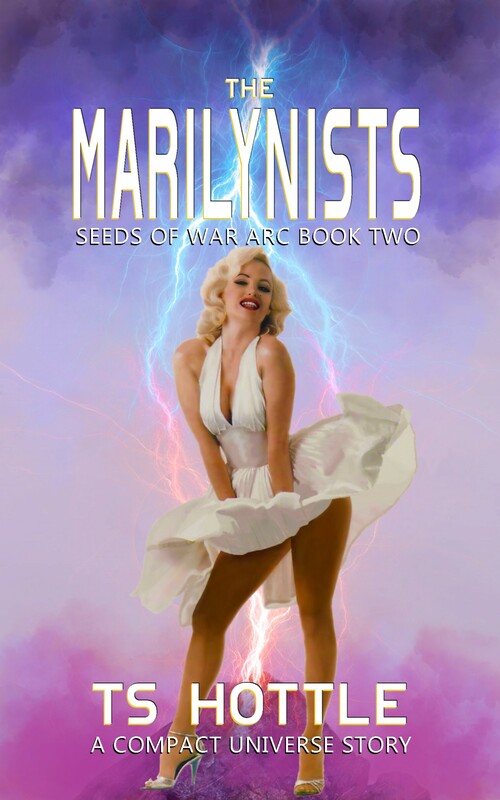 Now out from Clayborn Press, The Marilynists is Book 2 of the Seeds of War Arc. Douglas Best has given something to Jefivah it hasn’t had despite being humanity’s oldest interstellar presence. Three new colonies. All he has to do is remove the weapons of mass destruction stored there. Only seven warheads go missing, along with the ship chartered to remove them. The Compact blames Best. Enter the Marilynists, a cult devoted to a long-dead actress. The warheads came from the colony granted to them, so they have an interest in keeping the man they now call their Prophet out of prison. It’s a title Best doesn’t want, but it’s his only way to avoid prison. His quest will take him from backward Jefivah to the wealthy Caliphate to libertarian Belsham before both Best and the mysterious Luxhomme are swept up in a war with an alien race humanity has never faced before. Equal parts satire and space opera, The Marilynists is the second of three novellas that lead up to the epic The Children of Amargosa.